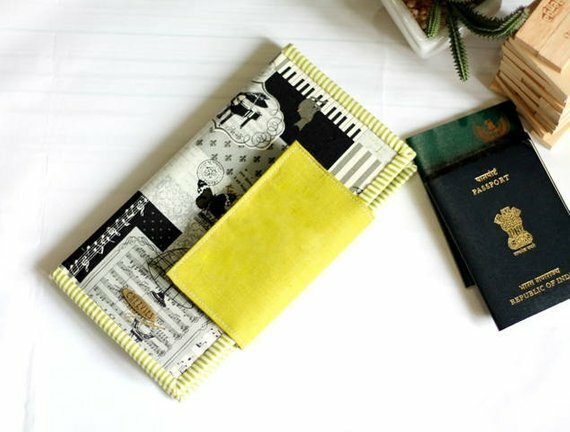 Handmade on of a kind Family Passport Wallet made of Japanese Linen fabric featuring musical /piano print with green combination. The passport wallet is heavily interfaced and lightly padded to keep it sturdy and not bulky. This travel wallet is carefully measured, cut and sewn in a pet and smoke-free home.